Parents always taught us that failure is not as bad as many people think. In fact, it could be a very valuable lesson in many aspects. Despite that, it is impossible not to want to throw the towel because the situation seems to be too difficult to handle. With this in mind, we bring you some cases in which failing couldn’t get any worse. Take a look at the funny compilation, because we are sure you will enjoy it! 1. 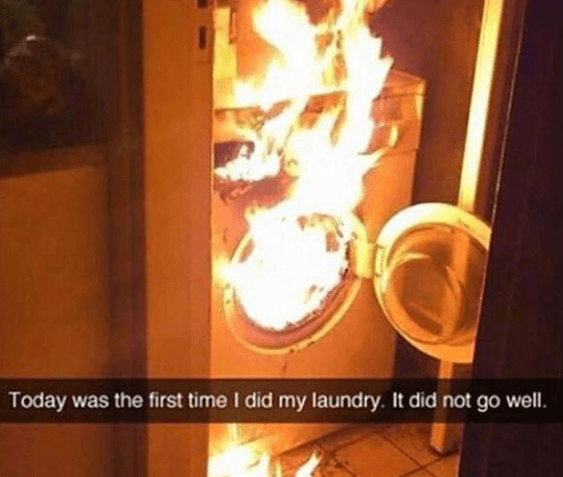 Hot dryer: First times can be very harsh, and this new independent person trying to do his laundry without help didn’t turn out that well. Maybe he went too far in using the heating button! 2. 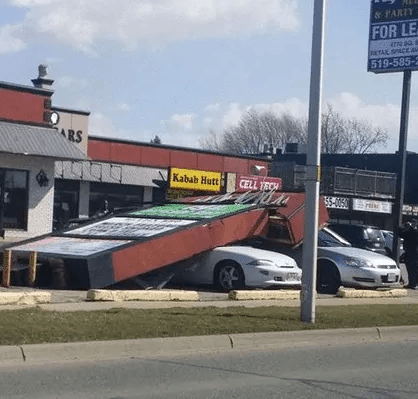 Best parking space ever: We just imagine the situation: you have a brand new car, so you go for a ride to show it off, but we bet you could never imagine that your car is not safe in the parking space. Big bummer! 3. Baking time part I: This is the reason why it is not good to try to bake at home. We feel that these appliances are kinda alive and they truly hate people. 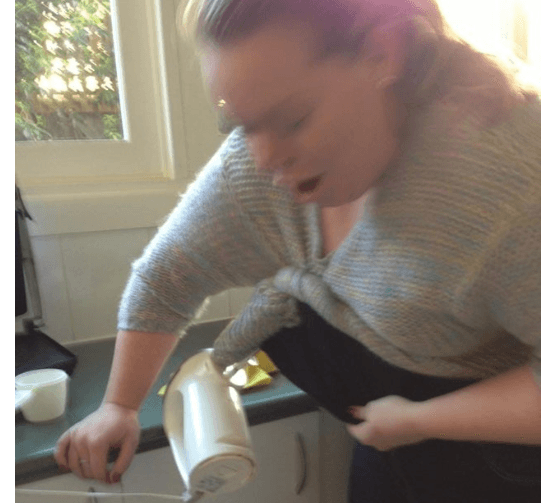 We guess this is what happened to this lady with this electric mixer. 4. Bird species: We don’t know if I missed my biology classes or if this is a new species of bird. 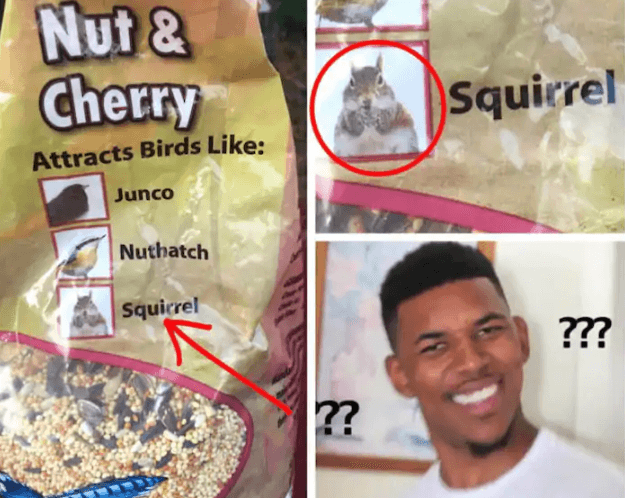 If not, what was the designer of that package thinking when writing it? Maybe he meant a flying squirrel. 5. 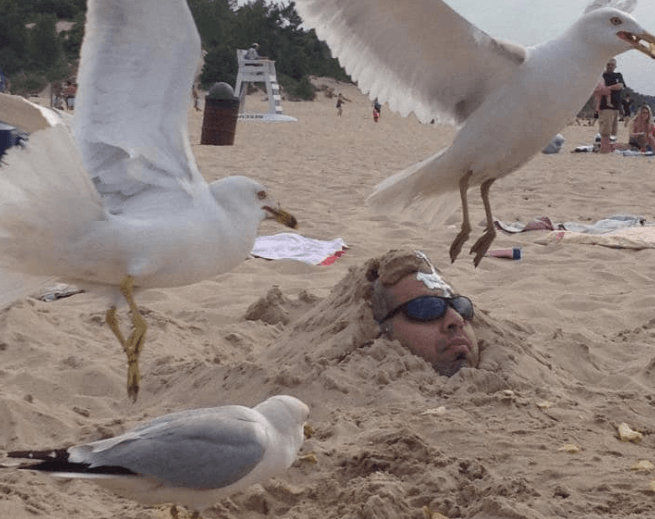 Sand-buried: They said it would be funny to be sand-buried. They said it would be even funnier to have chips around you. However, we am sure that after seeing those birds, he was certainly regretted! 6. Yummy recipe: This is the exact outcome any woman gets in her kitchen every time she asks her husband to cook dinner. 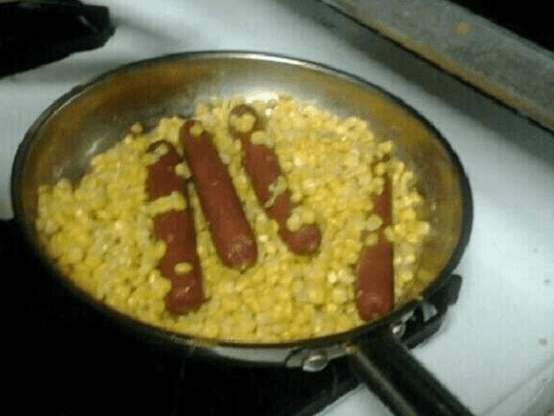 Well, at least this dude got the name of the dish "Corndog", but maybe he just needed to google it. 7. Pop the bottle, please! 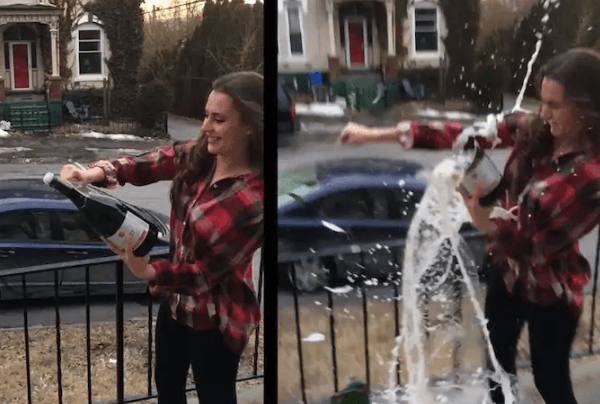 We bet this girl felt so fooled by TV shows and movies that make this activity look so simple, or maybe she is Hulk’s daughter. Anyways, we can still say Cheers! 8. Cookies! 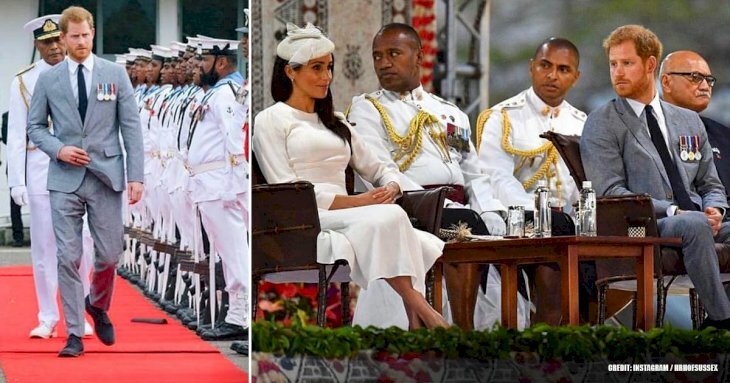 We know what your dirty mind thought after looking at this picture. No, it is not supposed to be what you are thinking. In fact, it is a number 1 for a child’s birthday. Perhaps a cupcake would have been better? 9. 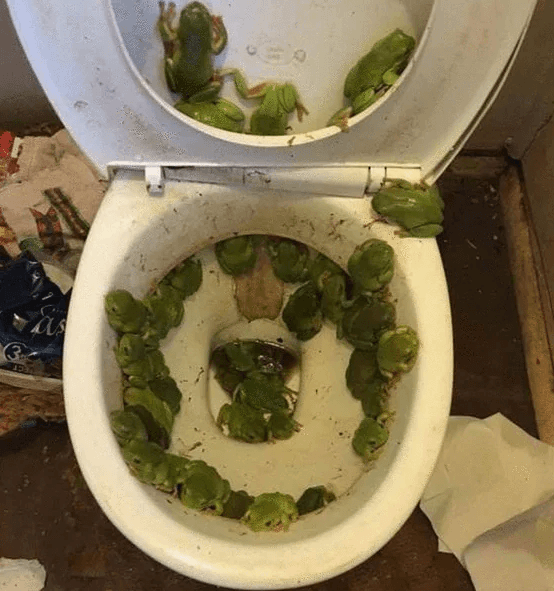 Frogged toilet: We don’t feel scared of frogs, but having thousands of them in your toilet is another level. We knew toilets could get clogged, but we didn’t know they could get frogged. Gross! 10. 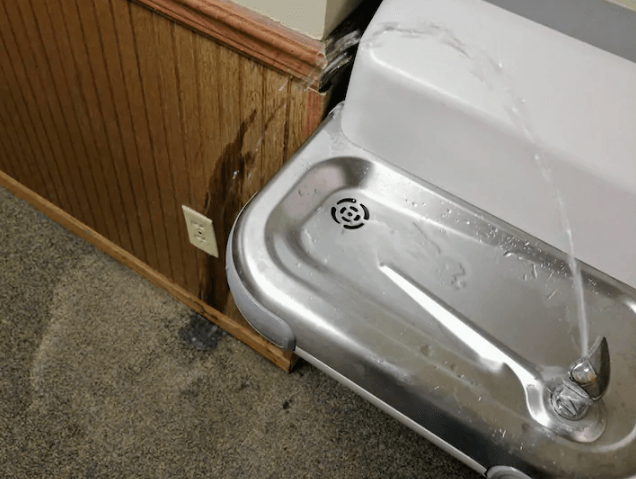 Drinking fountain: The builder of this drinking fountain deserves a prize for not going to Physics class at school. Sure! Water and electricity are the best combination. This is a drain-gerous design! 11. 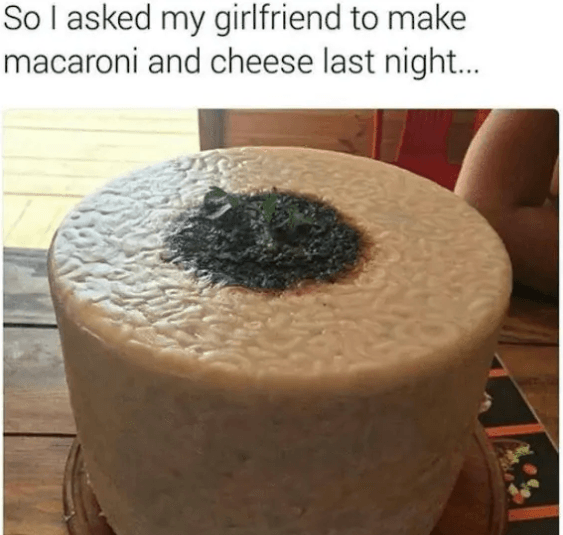 Macake: This boyfriend asked his girl to prepare Mac & Cheese, and this was the result. We are sure she understood a Macake, but at least we can give her some credit for the presentation, right? 12. 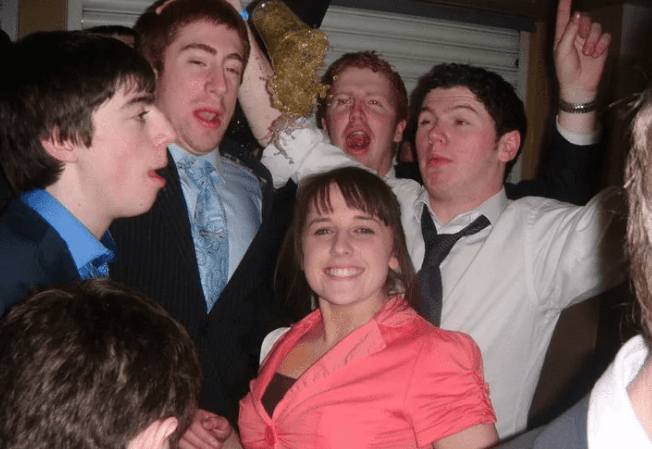 Glittery mess: The smiling face of this girl will quickly turn into a very different one after that cup full of glitter touches her hair. We wonder how many hours she spent trying to take it all off. 13. Baking time part II: See? 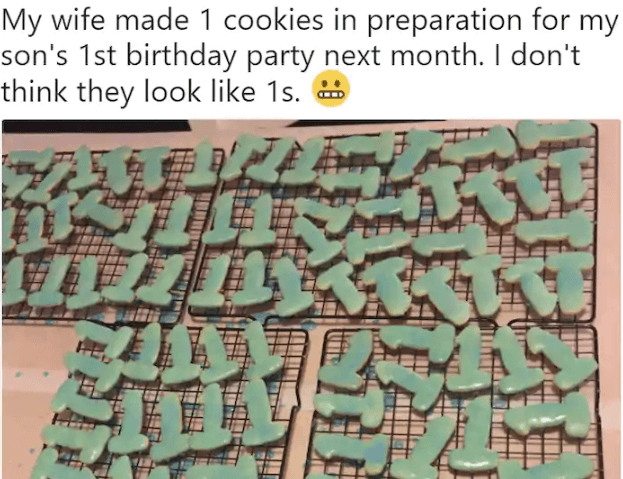 This is another very good reason to hate baking. 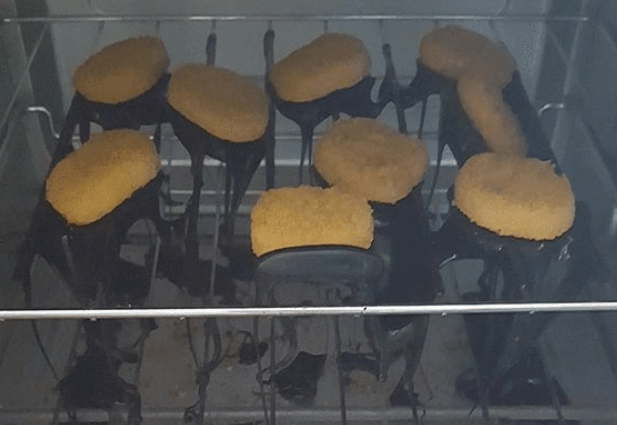 We are not sure whether she was trying to put some icing on the nuggets, or if nobody told her what happens when you heat plastic. 14. 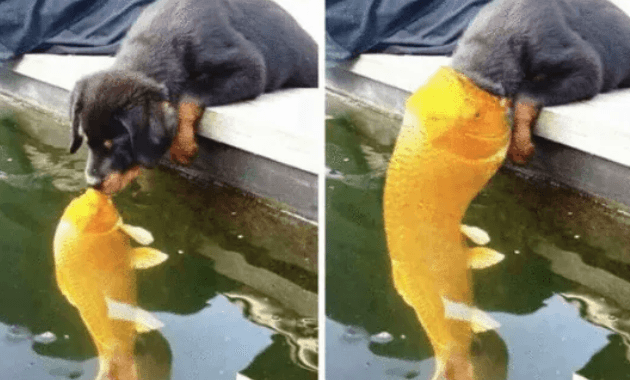 Give me a kiss: If you just take a look at the image on the left, it could actually be one of the cutest ones about animals, but after considering the right one, we just hope it was not the puppy’s first kiss. Bad experience! 15. 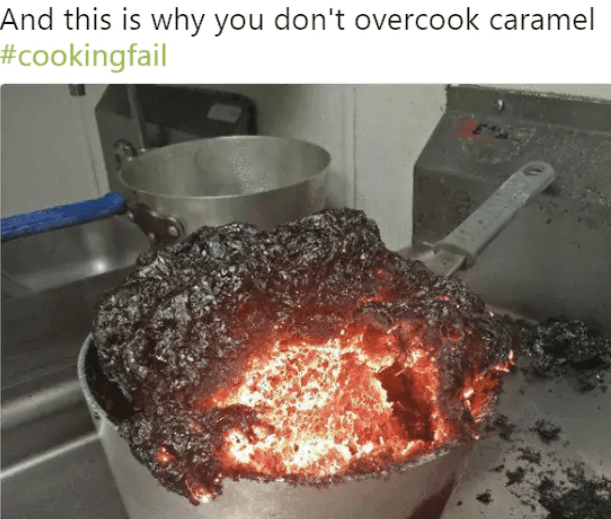 Trying to cook…lava? We are on the fence with this one. Was it a cooking experiment or was someone trying to create a volcano for a science project? You can even see it burning! 16. Kitchen cabinets: Maybe someone tried to save some money by installing the kitchen cabinets by himself. 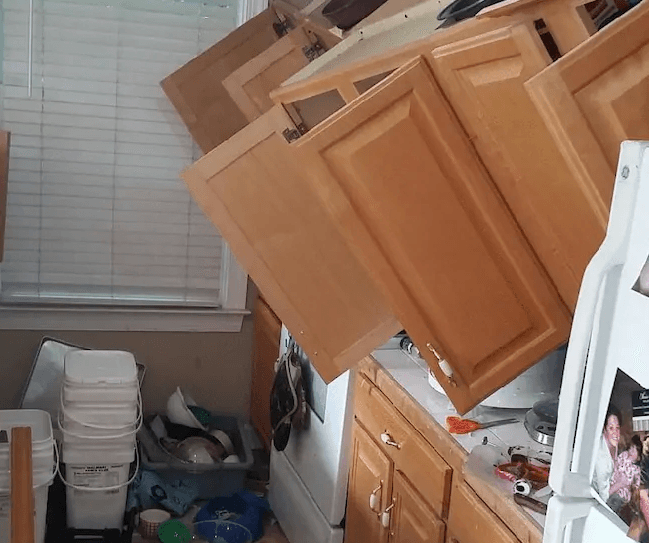 We guess that after watching this mess in your house, you just want to run away. 17. 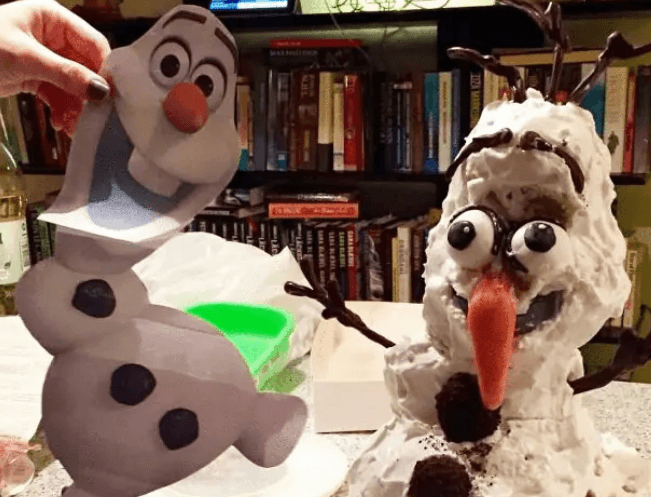 Hey, Olaf: Certain snowman did not learn his lesson that he cannot stay close to the fire. Some children will be very scared with the new appearance of the Frozen character, as if he was coming straight from a nightmare. 18. Small cavity error: Next time you think of putting a gadget inside your mouth, make sure you do some research before; otherwise, you could end up with a foul taste in your mouth. 19. 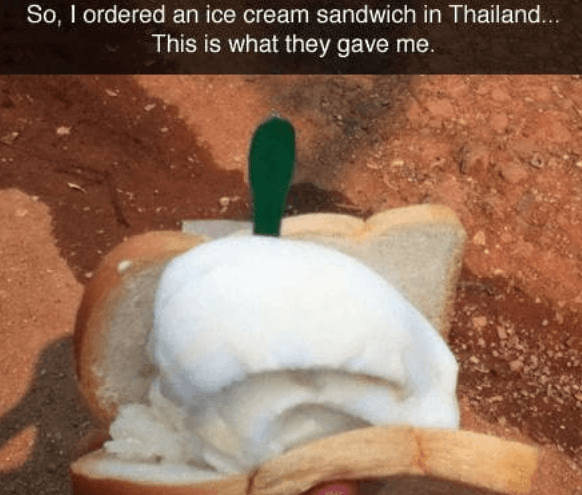 Thai cuisine: You will want to write this down: Do not order ice-cream sandwiches in Thailand if you don’t want to receive this. 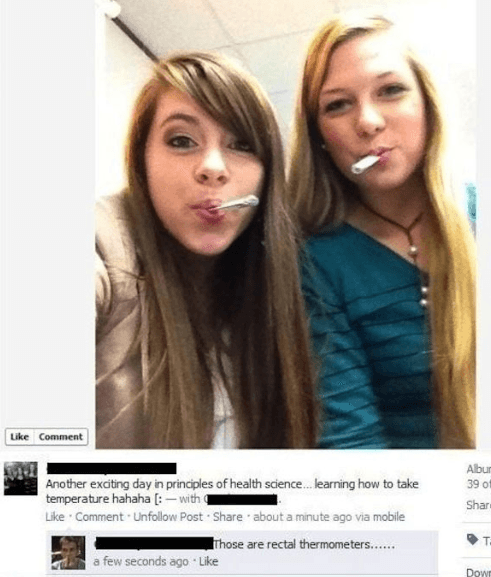 Are these people way too literal? 20. 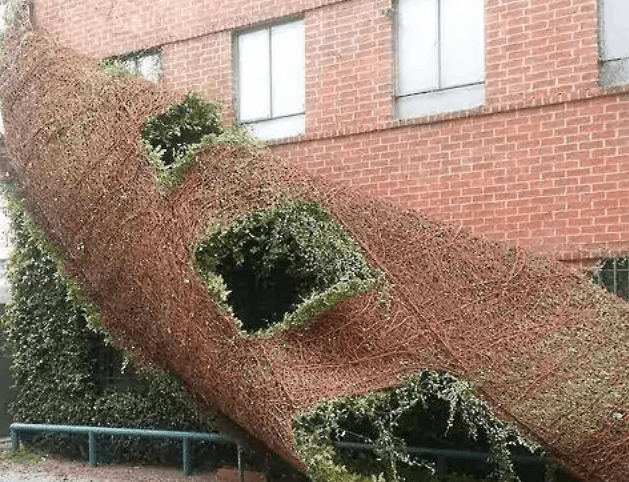 Plant wall: Can you imagine contemplating at this after hours of work? Perhaps the glue was not of the best quality. Relax! There is nothing that a stapler cannot work out. So if your worst experiences are not even close to these ones, you can start feeling more relieved. We hope the situations above never ever happen to you because you will certainly need a good humor. If you enjoyed this article, please share it with friends.